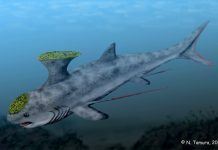 While most prehistoric animals are studied from their fossilized bones, that’s quite a bit harder to do with sharks. That’s because sharks don’t have traditional bones. Their bones are made out of cartilage – a material which doesn’t hold up as well in the fossil record as bone. 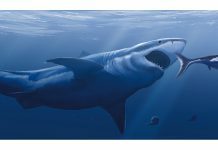 Which is why many shark – this one included – have to be identified by their teeth. 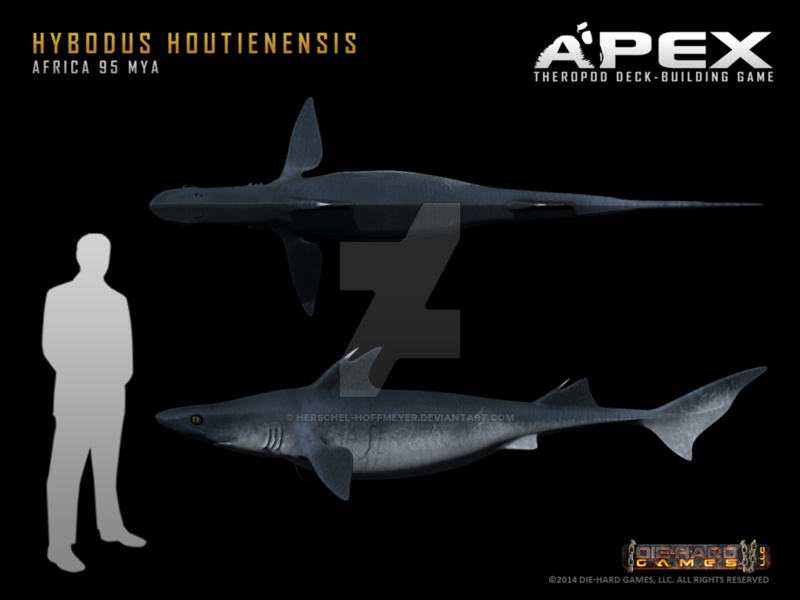 Looking at Hybodus pictures, you might come to the conclusion that these sharks resembled great white sharks but are shorter. Which is pretty close to being accurate. 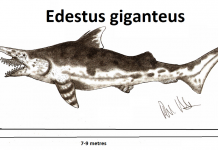 These sharks were about 6 feet long and weighed around 200 pounds. So it was a little bit bigger than an average sized human male. One of the most interesting facts about Hybodus is that this species time on this planet was quite a long one. 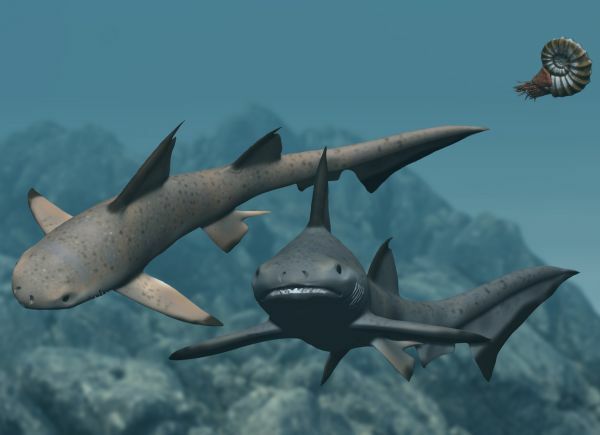 Most of the different species of sharks lived around 10 to 20 million years before they went extinct. However, Hybodus was different. 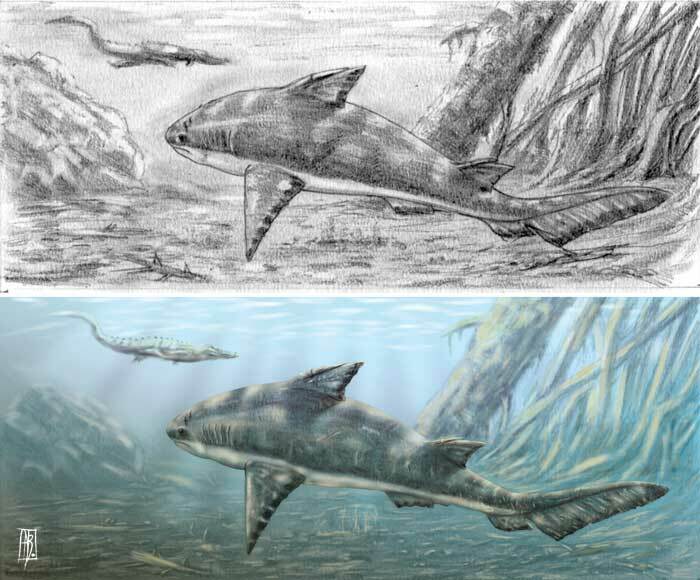 This species survived 10 times as long – 200 million years before going extinct. Therefore, it must have been a very effective species. 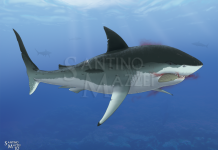 Especially since it had to compete against some of the most feared “monsters” of the deep. 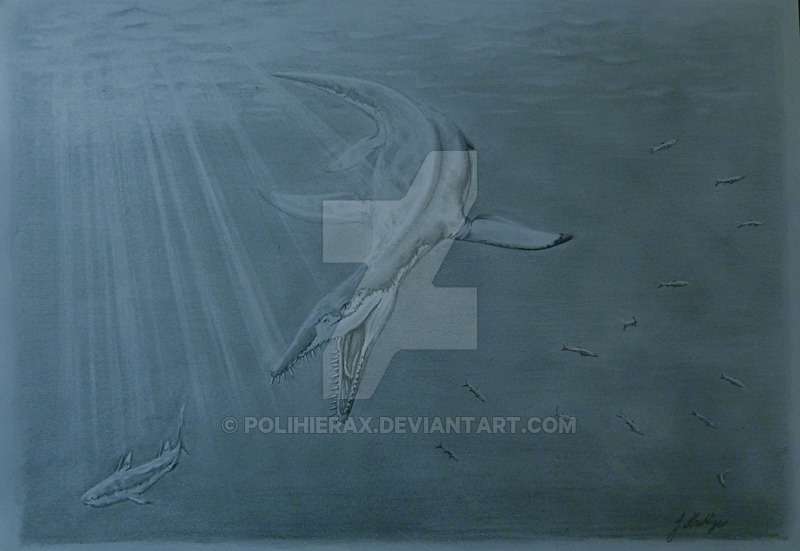 Animals such as Plesiosaurs and Mosasaurs. 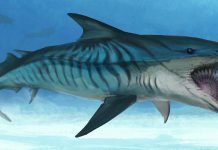 This shark was able to compete so well because it had the right tools for the job. It had not only one type of teeth for feeding but it had two. 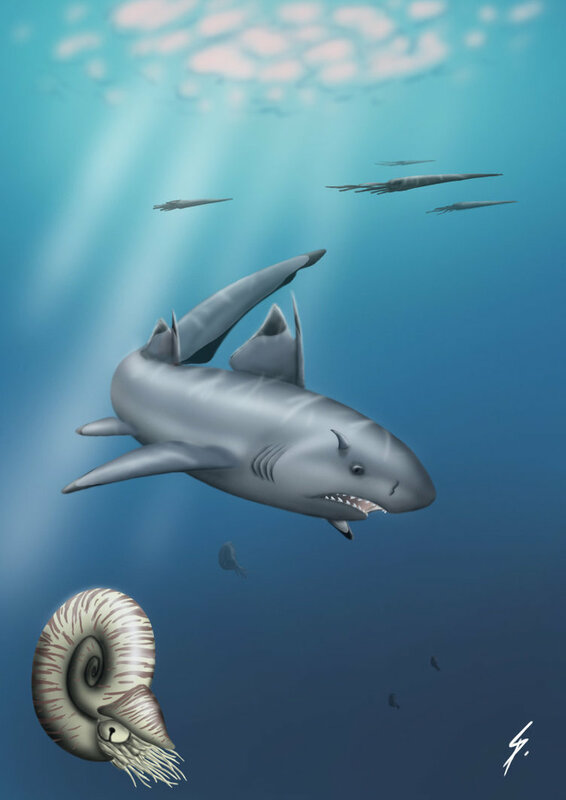 The first set of teeth were designed to rip into its prey. Prey which would have included fish, whales and whatever other small marine animals crossed its path. The second set of teeth jutted from its jaws. This set of teeth was used to protect itself from some of the prehistoric sharks and ocean dinosaurs of its time. Which is probably why it was able to survive as a species for so long.